Retaining walls are more than just an attractive landscaping feature. These simple structures are perfect for shaping landscapes. If you're in need of a superior retaining wall installation in Jacksonville, FL, turn to the professionals at Alpha Natural Stones Plus. Our company has more than 25 years of experience in the hardscaping business, which means we're perfectly qualified to install your retaining wall. We hold ourselves to high standards of quality on every job, while making certain that our customers receive personal attention and care. In addition to complete retaining wall installs, our company also installs waterfalls and fountains. With comprehensive hardscaping services from our pros, your yard will undergo a complete transformation. We'll help you realize your landscaping vision, so you can fully enjoy your outdoor areas. If you're interested in taking advantage of our services, get in touch with us today to request a free estimate. We hope you'll give us the chance to show you why so many customers rely on us for all of their hardscaping needs. If you've been searching for a dependable and trustworthy retaining wall contractor, you can count on us. We value hard work, honesty, and integrity, and we'll always work efficiently and effectively to complete our work. You can depend on our professionals to treat with you and your property with respect at all times. Proper retaining wall construction requires precision and a careful attention to detail. We will always make certain that your wall is installed correctly before moving on, saving you time and money. When it comes to building a retaining wall, it's important to choose the right material. 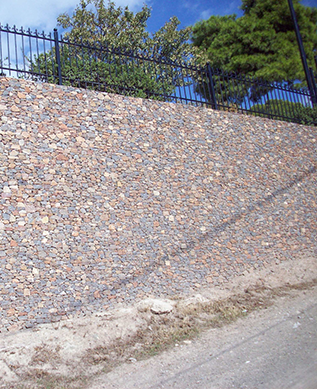 There are many advantages to choosing a stone retaining wall from our reliable company. First, stone is extremely resilient and durable. This classic material has been used for thousands of years for building everything from small wells to enormous castles. Second, stone is naturally beautiful. Nothing beats the classically beautiful appearance of stone; it will look perfectly natural in your yard. Finally, stone will age beautifully. Even as weather and rain eventually wears the stone down, it will still look great. If you're interested in having a stone wall installed, get in touch with our contractors today to discuss your needs. Contact us when you need a retaining wall. We serve our customers in Jacksonville, Ponte Vedra Beach, Jacksonville Beach, Atlantic Beach, and Neptune Beach, FL.